Nice Cream is my new obsession! Not only is it guilt-free ice cream but its actually good for you and will keep you energized!! Whenever I eat a bowl of nice cream, I feel so happy afterwards! I usually make this Sunday's before church for breakfast since it is so easy, I also love making this after dinner as a dessert. 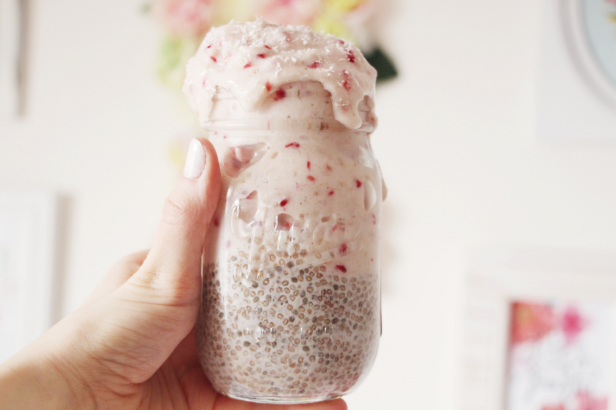 Another thing I love to add to my nice cream is chia seed pudding, it adds protein to this dessert and gives a little extra texture! CUT frozen bananas into thin slivers. Place in a bowl add the milk. You can use a smoothie blender if you would like but I have found that using a hand mixer works even better! 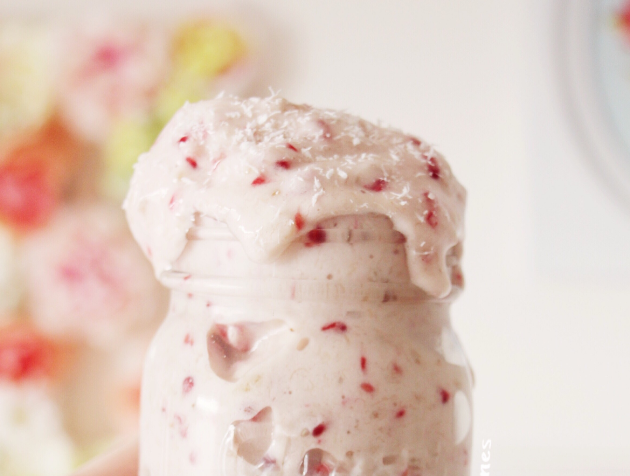 This is perfect for those of you who do not own a smoothie blender. After the bananas are blended add the raspberries and blend. I like to leave the raspberries chunky. 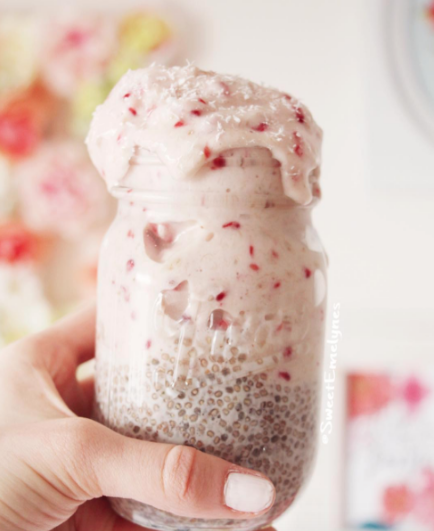 POUR into a mason jar and top it off with some coconut and berries! As I mentioned before, I also like to make chia seed pudding the night before and place the nice cream on top. It is HEAVENLY! !